Zombies are truly terrifying monsters, but they've never been described as helpful before! 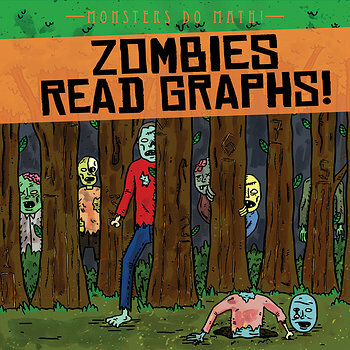 This high-interest book shows readers and zombie hunters alike how the walking dead can help interpret data in different kinds of graphs, including picture graphs and bar graphs. Young mathematicians will love the creepy illustrations as well as the fun fact boxes detailing more information about the origins and legends concerning these scary creatures.